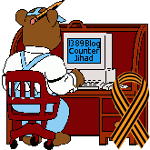 2012 July — 1389 Blog - Counterjihad! in 1389 (blog admin), Facebook, jihad, Now this is disgusting! Bill Whittle on Obama’s Record – Spot on! Caturday: Is your cat registered to vote in Virginia? This cartoon should go viral!